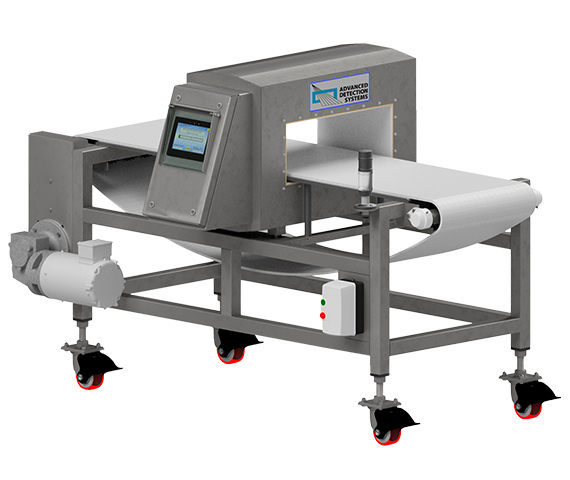 Advanced Detection Systems ProScan™ conveyors are welded stainless steel construction designed specifically for ProScan™ metal detection use in packaged, bottled and bulk products. ProScan™ conveyors are built for your specific application and incorporate the appropriate reject device as well as detection & validation audio/visual signals. ProScan™ conveyors are NEMA X designed to withstand the rigors of washdown environments. 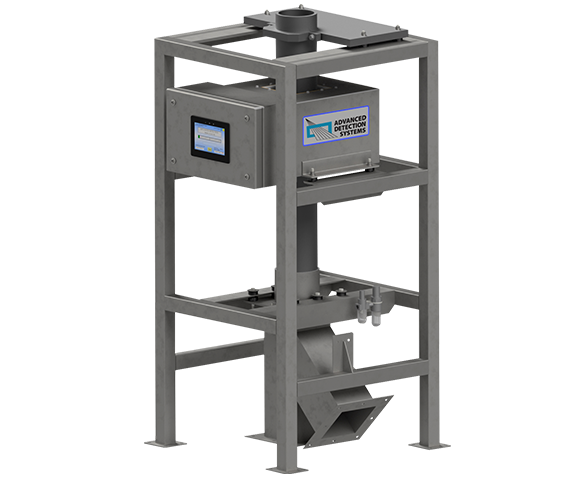 Advanced Detection systems gravity drop units are designed for gravity fed metal detection of bulk powders and grains. The systems are built to accommodate a wide range of thru-put requirements and can be built to incorporate automatic in-line reject devices. Gravity drop metal detection systems are available as part of a floor standing system or with a support frame for elevated systems. 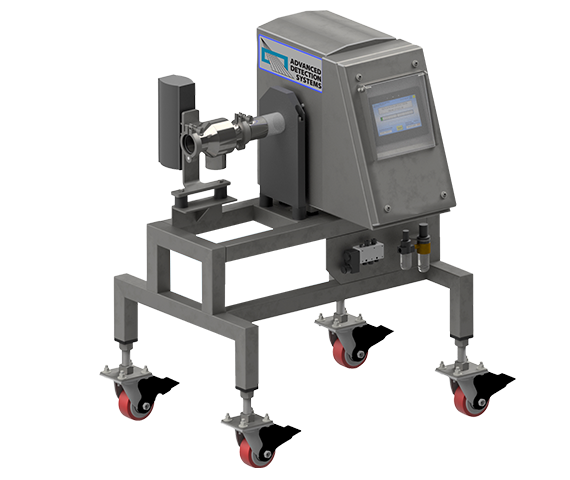 Advanced Detection systems pipeline units are designed for pumped or gravity fed viscous liquids, sauces and ground meat. The systems are designed to be used in a variety of production configurations and components are designed to handle a range of product temperature and pressure. Systems are built for your specific application to include timed 3-way valve reject diverters and can be deployed as floor standing or elevated systems.